In search of several cupcake recipes for last weekend, I usually stop at Annie's Eats first. She has several fun options to choose from. 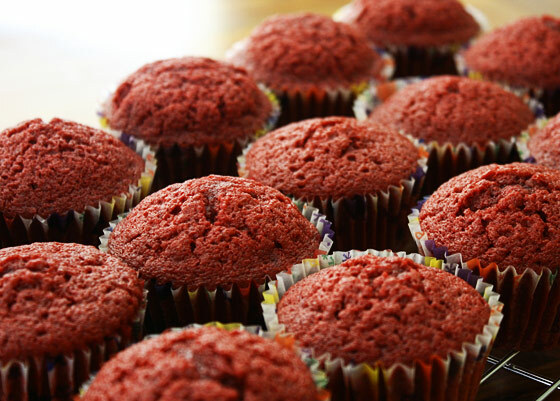 With a special ingredient added, these cupcakes were super moist and tasty. My friend Joyce filled me in on a little something she adds to the batter - mayonnaise. Whaaat? Yes. You can't taste it. It's pretty amazing. You should try it next time you make cupcakes. It makes the cake super moist. 1/2 cup will do for any recipe. Preheat the oven to 350° F. Line cupcake pans with paper liners. In a medium bowl, combine the cake flour, sugar, baking soda, cocoa powder and salt; whisk to blend. In the bowl of an electric mixer, combine the eggs, vegetable oil, buttermilk, mayo, food coloring, vanilla and vinegar. Beat on medium speed until well blended. Mix in the dry ingredients on low speed and beat until smooth, about 2 minutes. Divide the batter evenly between the prepared liners. Bake, rotating the pans halfway through baking, until a toothpick inserted in the center comes out clean, about 18 minutes. Let cool in the pans 5-10 minutes, then transfer to a wire rack to cool completely. Combine the cream cheese and butter in the bowl of an electric mixer. Beat on medium-high speed until well combined and smooth, about 2-3 minutes. Mix in the vanilla extract. Gradually beat in the confectioners’ sugar until totally incorporated, increase the speed and then beat until smooth. Frost cooled cupcakes as desired. mmm, yummy - if your goal was to inspire hunger through your photographs - you've accomplished it!! They look delicious! Great pictures! Mayonaise, I totally want to try that. Great pics, the cakes look so tasty, I want one right now. Oh my, I can taste them now. These look amazing! I must give these ago! Thanks for sharing! Yum they look so good! 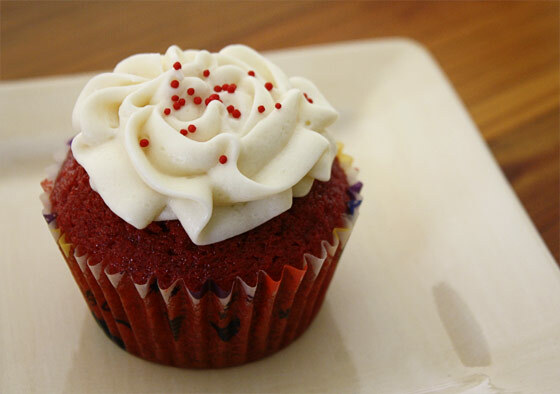 Red Velvet is my favorite type of cupcake/cake. 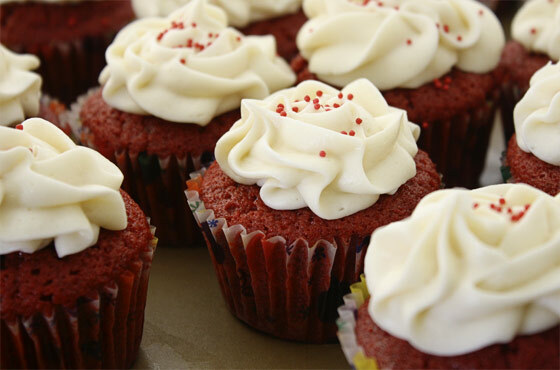 I am always looking for new and different recipes for Red Velvet. I am excited to try this one out. Thank you for posting it. Oh and your icing skills are amazing!